Home › Home and Kitchen › Bamboomn Brand - Matcha Green Tea Whisk Set - Set Of 4 Items. Whisk + Scoop +..
Bamboomn Brand - Matcha Green Tea Whisk Set - Set Of 4 Items. Whisk + Scoop +..
BambooMN Brand - Matcha Green Tea Whisk Set - Set of 4 Items. Whisk + Scoop + Tea Spoon + LIGHT GREEN Whisk Holder. Bamboo Matcha Tea Whisk (100 Tate Chasen) in a clear display tube. Green Whisk Holder (Kuse Naoshi) to prolong the life of your whisk by maintaining it in good shape and helping prevent mold. And it just looks cool! Hooked Bamboo Scoop (Chashaku) for scooping out the perfect amount of matcha powder. Bamboo Tea Spoon - as a bonus, bamboo spoons are also great for honey! Color: Soft Light Green Make the most out of your investment in and enjoyment of Matcha with theseessential tools to whip up the perfect lump free matcha. 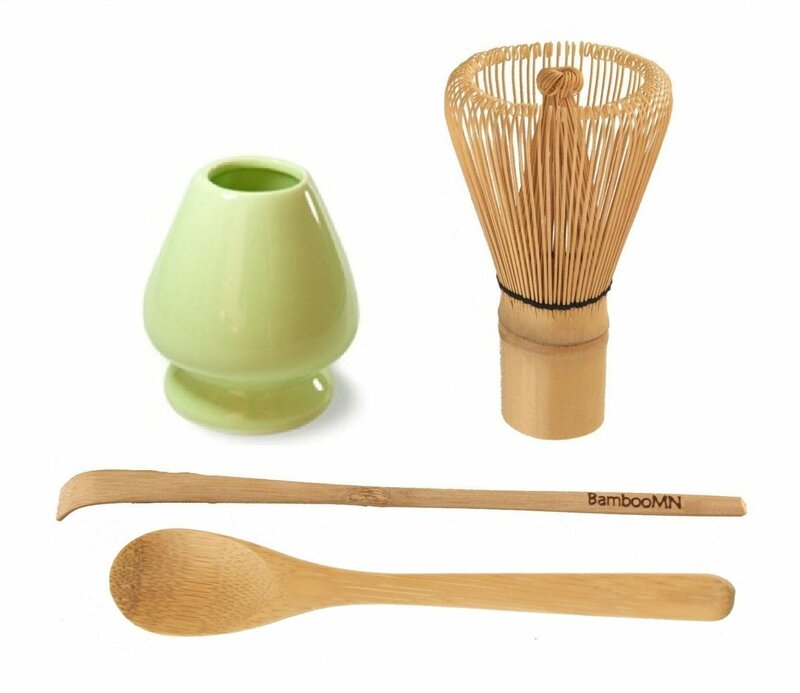 Includes: - BambooTea Whisk (Chasen) in a clear tube - Whisk Holder (Kuse Naoshi) - HookedBamboo Scoop (Chashaku) - Bamboo Tea Spoon Bamboo is sourced from certifiedfactories that provide fair and good working conditions for their employees.